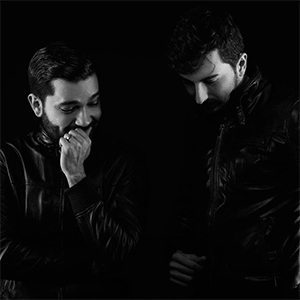 Jude & Frank are friends, Italian DJs and producers active since 2014 in the house music scene. Their music is strongly influenced by disco and funky house sounds from the 70s, by house music from the 90s, latin vibes and all that s groovin. In 2016 they released several tunes on top labels in the house spectrum such as Enormous Tunes, Sphera Records, Pornostar Records, InStereo Recordings and supported by world-class artists such as Bob Sinclar, David Guetta, Avicii, Eddie Thoneick, Kryder, Promiseland, Crazibiza, Nervo, Federico Scavo and many more. In July 2016 their track La Luna, released by Pornostar Records, reached the #1 Position on Beatport Overall Chart and is supported by David Guetta, Bob Sinclar, Avicii, Tiesto, Kryder, Crazibiza and all over the world!